If you like watching big game in the wilderness you'll enjoy the adventure of travel in Africa. In this section we list tour operators who offer wildlife safaris to Botswana, Kenya, Namibia, South Africa, Tanzania, Uganda and Zimbabwe; many offering discounts to Travel Notes members. After a thrilling experience with wildlife on an African safari, or even as a relaxing holiday on its own, Indian Ocean islands offer some of the world's best beaches. Signature Safaris: Based in Horsted Keynes, West Sussex. Provides tailor-made, and small group safaris to Botswana, Malawi, Namibia, Republic of Congo, Tanzania and Zambia. Safaris can be combined with an Indian Ocean beach holiday on Mozambique's archipelagos, the islands of Zanzibar, or in The Seychelles. Choose your accommodation carefully, and remember that a safari is a bucket list item that you want to make sure you get right. By Jeffrey Cammack - Safari Guide Africa. Temperatures in winter are generally mild but can become considerably cooler in the evening, so pack multiple layers of clothing to ensure you stay comfortable on afternoon game drives and walks. It goes without saying that the standard safari gear must include a broad brim hat, sunscreen and mosquito repellent. In areas where malaria is prevalent, summer is generally a more risky time to travel. So, before you go on safari, consult your doctor for the necessary anti-malaria medication. By Edge East Africa Safaris. Almost 2,500 species of 111 families have been seen in the mainland of Africa, its associated islands and around its coasts. Of these, perhaps 1,800 species and a remarkable 20 bird families are found only in this geographic area. UK registered charity managed by a Council of trustees. The Club was formed in 1994, by people with a common interest in African ornithology. Customised safaris in Africa based on your choice of month and duration of safari. Itineraries are crafted to correspond with seasonal wildlife patterns and the client's specific tastes, interests and type of preferred safari accommodation. Bespoke Safaris to Southern and East Africa including flying safaris, walking safaris, camping safaris, luxury safaris and honeymoon safaris. Based in New Orleans, James and Marie Blesius offer over 60 safaris and tours to Kenya, Tanzania, Uganda, Zimbabwe, Botswana, Namibia, Zambia, South Africa and the Seychelles. Find peace of mind and answers to your questions about which is the best African safari vacation for you with a variety of deals on African adventures, safaris, airline tickets and tours. Offers tailored Kenya and Tanzania safari honeymoon packages and Zanzibar beach vacations. African safari tours to Southern, Central and East Africa. Choose a safari in Botswana, Kenya, Malawi, Mozambique, Namibia, Rwanda, South Africa, Tanzania, Uganda or Zimbabwe. Also offers tailor-made, individual and private African safari tours to suit your requirements. If you want to experience the true essence of Africa, then the big lodges filled with masses of tourists are not for you. Customised African safaris bring you the wonders of Africa up-close and personal. Chicago-based. Specialises in scheduled small group and tailor-made mobile safaris as well as in luxury hideaways and fly-in tours around Southern and East Africa, and Madagascar. Experience authentic travel in the African bush with tailor made itineraries in South Africa, Namibia, Botswana, Mozambique, Zimbabwe and Zambia. Affordable African safari and travel incentive to Kenya, Tanzania, Uganda, Zimbabwe, South Africa and Egypt with information on Africa attractions, maps, weather and animals of Africa. A safari is one of the ultimate honeymoon experiences and this top five list compiled from the travel diaries and experience of previous honeymoon safari participants details the best of the best. A wildlife biologist and safari guide plans safaris to Africa's wild places across Southern Africa, East Africa, and West Africa. UK based tour operator specialising in safaris and hiking adventures in East Africa; including Kenya safari holidays, Ethiopia tours and gorilla trekking in Rwanda, Uganda and DR of Congo. 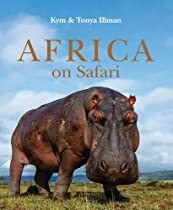 Africa Safaris - African Wildlife.